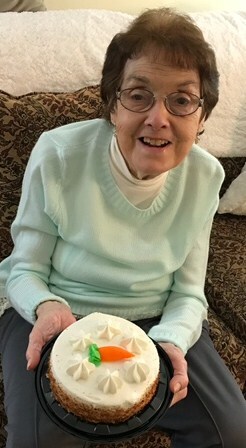 Barbara A. Dalanno, 82, of Steubenville died Monday, January 21, 2019 at her home. She was born November 3, 1936 in Steubenville. She is the daughter of the late Joseph Gibson and Alberta Leonhart Dixon. Also preceding her in death are her husband Vincent "Fishie" Dalanno; one son Craig Dalanno; one grandson Jeffrey, one granddaughter Sophia; six sisters Frances Glynn, June Gibson, Mary Staten, Mildred Ritchey, Madelyn Moats and Rita Cress. Barbara was a member of Triumph of the Cross Catholic Church. Surviving are one son Vincent (Tracy) D'Alanno of CO; one daughter Cindy (William) Ferda of Wellsburg; two sisters Dorothy Lamantia and Margaret Vendetta; six grandchildren Will, Vince, Casey, Anthony, Matthew, Maria and one great grandchild on the way Adelyn Rae. Per Barbara's request services will be private and burial will be in Mt. Calvary Cemetery. Memorial contributions may be made to Steubenville Catholic Central High School, 320 West View, Steubenville, OH 43952.